To do in LA this Saturday: I'm speaking at the Pasadena Loves YA festival! Angelenos! 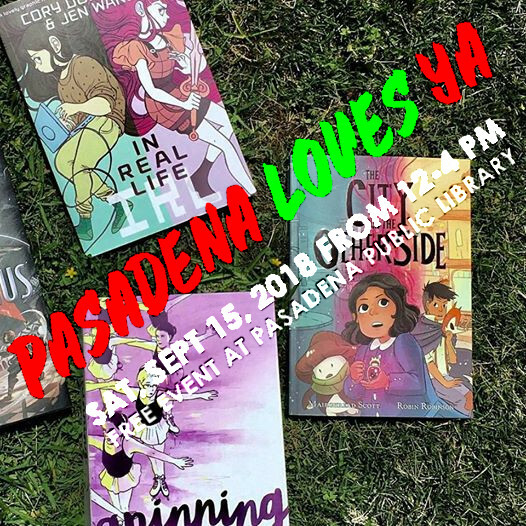 Bring your teens to the Pasadena Loves YA festival this Saturday; I'm chairing a panel on graphic novels with Mairghread Scott and Tillie Walden; other panels and events go on all day, from 11-4PM, at the Central Branch of Pasadena Public Library, 285 E Walnut St, Pasadena CA 91101. Admission is free!